The capital city of North Ossetia republic: Vladikavkaz. The Republic of North Ossetia - Alania or simply North Ossetia is a federal subject of Russia located on the northern slope of the Greater Caucasus, part of the North Caucasian Federal District. Vladikavkaz is the capital city of the region. The population of North Ossetia is about 704,000 (2015), the area - 7,987 sq. km. 26 June, 2018 / Beauty of Mountainous Digoria in North Ossetia. 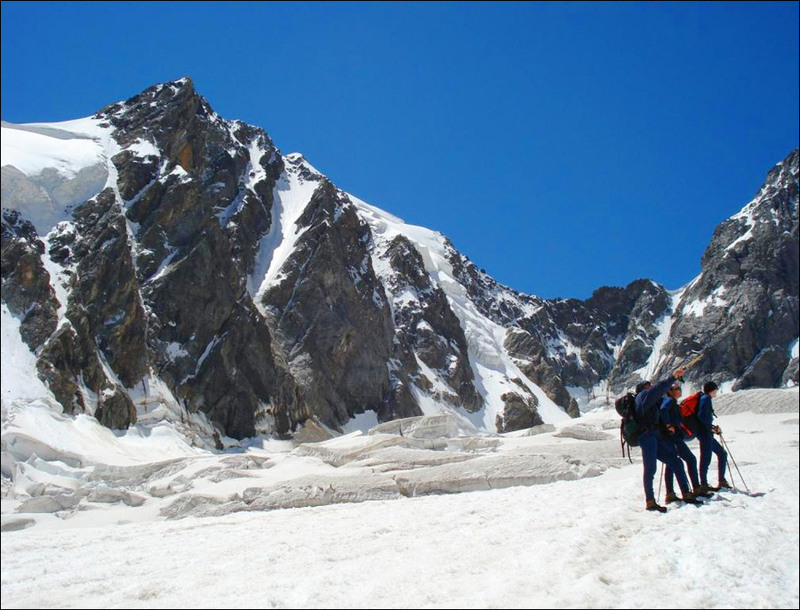 28 May, 2016 / Stunning nature of the Caucasus - climbing Stolovaya Mountain. From the first millennium BC, Koban culture was spread on the territory of present North Ossetia. It was named after the village of Koban located in Tagaur canyon, where ancient archaeological monuments were found. Since the 7th century BC, the Scythian tribes began to settle in the Central Caucasus. Koban population assimilated among the Scythians and then the Sarmatians, some of whom switched to a settled agricultural economy. By the 2nd century AD, the Sarmatians of South-Eastern Europe and Central Asia united under a new name - the Alans. Like the Scythians, the Alans used Derbent pass and the passes of the Greater Caucasus for their raids. In 372, the nomadic tribes of the Huns invaded Europe from Central Asia. 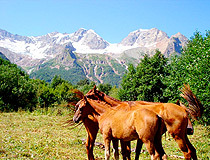 This invasion was the reason of migration of the Alans to the most inaccessible mountain areas on both slopes of the Greater Caucasus mountain range. In the 6th-7th centuries, Alania was again a relatively powerful state with a dense network of well-fortified settlements, developed agriculture, trade and crafts. At the beginning of the 10th century, Orthodoxy became the state religion in Alania. In the 12th century, Alania experienced the feudal period and was divided into principalities fighting against each other. They were unable to unite against the Mongols who invaded the region in the 13th century. In 1222, the Mongolian army defeated the Alanian army. In January 1239, after a three-month siege, the Alanian capital of Magas was captured. The Mongols ravaged the plain part of the country, but the resistance continued in the mountain areas. The final blow in a series of tragic events of the 13th-14th centuries was the invasion of the troops of Tamerlane in 1395. Almost all of the Alans were killed, the state of the Alans collapsed. The survivors took refuge in the mountains where they mingled with the local population of other language group and later became known as the Ossetians. In the 15th-17th centuries, the Ossetians fought for survival in extremely cramped conditions of the mountains (the plain was occupied by Adygeyan tribes). In the 18th century, the Ossetians were in need for resettlement on the plane because of the extreme shortage of land. Ossetia was also important for Russia, as the region that controlled the strategic passes in the Caucasus. In 1774, the territory of North Ossetia was among the first regions in the North Caucasus, which joined the Russian Empire. Vladikavkaz, founded in 1784, became the first Russian fortress in the area. 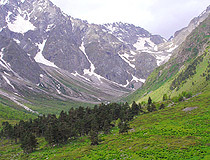 In the 19th century, the Ossetians migrated from the mountains to the plains and outskirts of Mozdok. In Soviet times, Ossetia was divided into two parts. The part north of the Caucasian ridge came under the jurisdiction of the RSFSR (present Russian Federation), the part to the south came under control of the Georgian SSR. In 1921, Ossetia became part of Gorskaya Soviet Republic. It received the status of an autonomous oblast in 1924. In 1936, it was reformed into North Ossetian Soviet Socialist Republic. During the Second World War, fierce battles took place on the territory of the republic, the northern and western parts of North Ossetia were occupied by the Germans. In November, 1942, the German advance was stopped near Ordzhonikidze (Vladikavkaz). About 85,000 people were drafted into the Soviet Army in the republic and almost 45,000 of them were killed. During the war, the territory inhabited by the Ingush, who were deported for “collaboration” with the Germans, was joined to North Ossetia. Empty villages were inhabited by the Ossetians from North Ossetia, the South Ossetian Autonomous District and inner districts of the Georgian SSR. 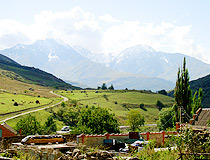 The Ingush, who returned home in the 1950s, were given back part of their former territory. Instead of Prigorodny district, which then belonged to North Ossetia, they received the land taken from Stavropol krai. But the Ingush demanded that the eastern part of Prigorodny district should be returned to them. In 1992, an armed conflict broke out because of territorial disputes. 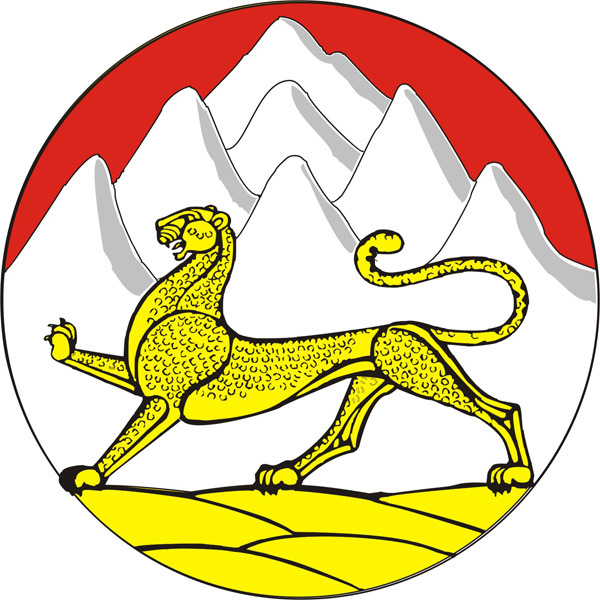 In 1993, the region received a new name - the Republic of North Ossetia. 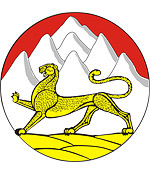 In January 1995, it received its present name - the Republic of North Ossetia - Alania. In the 1990s and in the early 21st century, several major terrorist attacks occurred on the territory of the republic related to the wars in Chechnya including the taking of hostages in the school #1 in Beslan in 2004. This terrorist act led to serious political consequences not only for the republic but also for Russia in general (the system of election of regional governors was abolished). 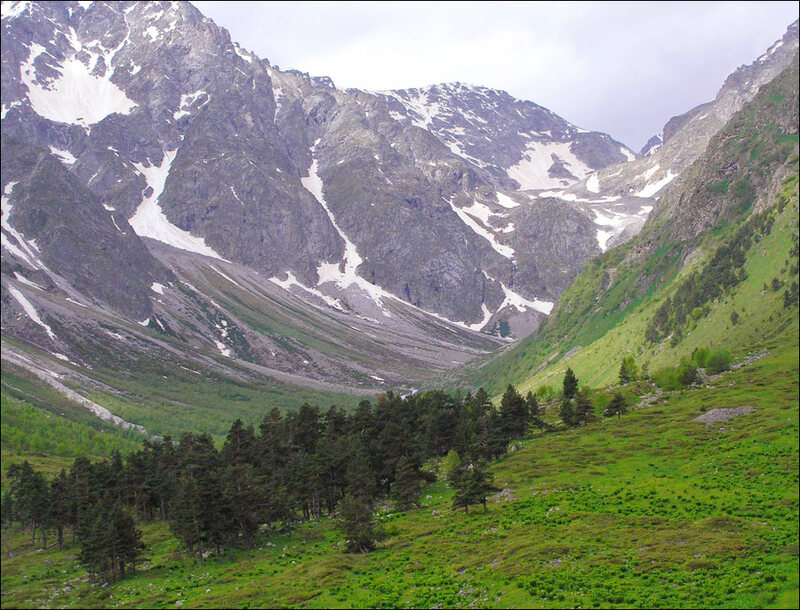 The territory of the Republic of North Ossetia - Alania stretches from north to south for 120 km, from west to east - 125 km. 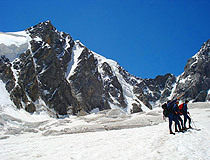 The highest peak is Mount Kazbek (5,033 meters). The Terek is the main river. It is one of the most densely populated Russian regions. About half of the population lives in Vladikavkaz. The largest cities and towns are Vladikavkaz (307,000), Mozdok (40,500), Beslan (37,000), Alagir (20,200), Ardon (19,500). The national composition according to the 2010 census: Ossetians (64.5%), Russians (20.6%), Ingush (4.0%), Armenians (2.3%), Kumyks (2.3%), Georgians (1.3%). The climate is moderately continental in the central part and foothills. The average temperature in January is about minus 3.2 degrees Celsius, in July - plus 20.4 degrees Celsius. The natural resources of the region include complex ores containing zinc, lead, copper, silver, dolomites, mineral water springs. Also there are several oil deposits. Forests cover about 22% of the territory. The main industries of the republic are non-ferrous metallurgy, machine-building, mining (non-ferrous ores, construction materials), electronics, light, glass, food. Several large plants producing spirits are located in Vladikavkaz and Beslan. Two main highways (Georgian Military Road and Transkam) pass through the territory of North Ossetia connecting Russia with the South Caucasus countries and the Middle East. 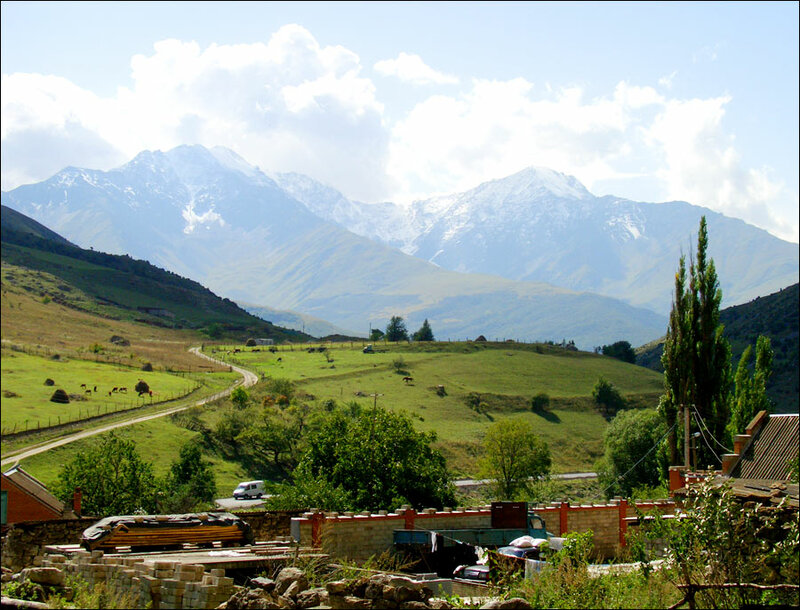 Since the middle of the 19th century, Ossetia was positioned as one of the tourist centers in the North Caucasus. The Soviet period was the next milestone in the development of a recreational complex of the republic. By the early 1990s, spa treatment and tourist-excursion services became an important part of the local economy. Today, North Ossetia may serve as a basis for the creation of a large health resort agglomeration, comparable to well-known Sochi-Matsesta and the Caucasian Mineral Waters regions. The geographical location of the republic allows to organize year-round ski resorts. In addition to traditional forms of recreation, there is great potential for the development of extreme forms of recreation, agricultural and ecological tourism. North Ossetian State Nature Reserve is located in the upper reaches of the Tsey, Ardon and Fiagdon rivers. 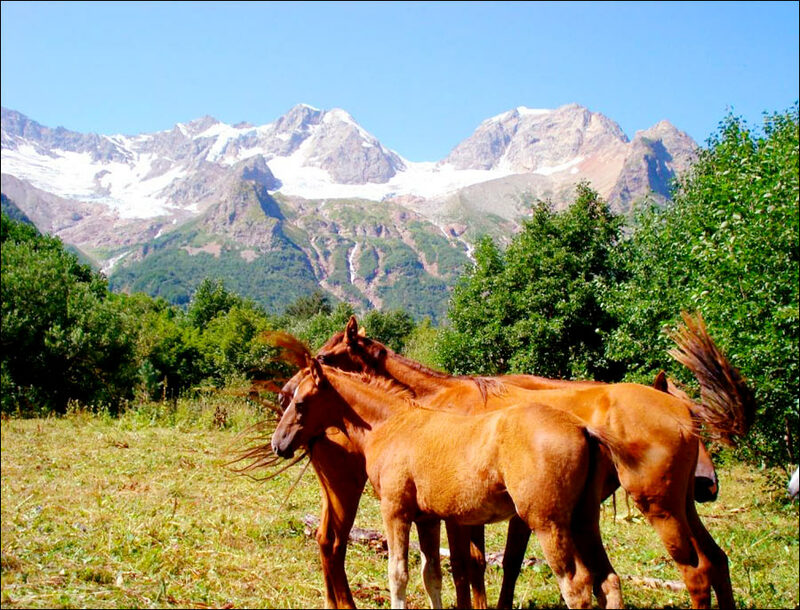 The rich historical heritage of North Ossetia is of great value. The republic has more than 1,500 historical and cultural monuments. Vladikavkaz trams are one of the oldest tram systems in Russia (1904). North Ossetia (Alania) is a beautiful country. I visited relatives there in 2007. The Ossetian people are very nice. I was treated so very well by relatives and friends in 2007.